T’is the season for upgrades! I’ve had this 2006 MacPro for quite a while. I’ve taken it home as didn’t have a ‘good’ home machine as I have my better stuff in the office. Anyways the machine is far obsolete with 10.7 being the last official release supported, and although you can treat it like a hackintosh and go much further, Apple is making their binaries tuned heavy enough that all the spectre/meltdown patches broke the old Xeons. So I installed Windows 10, and found I can go all the way to 1809 without any issues. I put in a GT 1030 with DDR5 RAM and it can even game to extent, although the 13 year old 2Ghz processors were certainly holding it down. Upgrade processors have always been available when I had this machine but they were expensive, and I wasn’t sure if they’d work. Well I picked up a pair of Xeon x5365 for $88 RMB each and pulled the plug. I thought the thing to do was a quick benchmark of before and after. I was getting a whopping 167! That means if Cinebench scales to 100% efficiency I get a core score of 41. While my ‘newer’ machine’s E5-2620 v2 was scoring 52, and the current E5-2667 v2 is scoring 77. 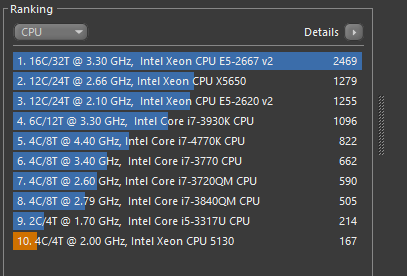 It took two hours, but I finally got these 2 Xeon x5365’s installed giving me a score of 560, or a score of 70 per core. Nice! 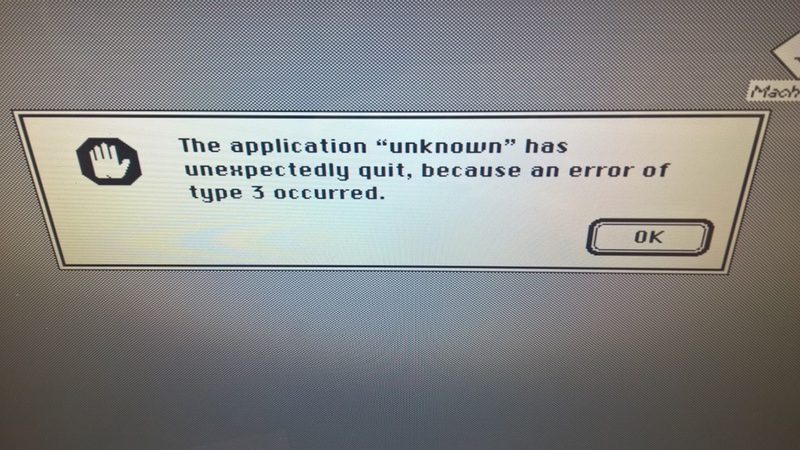 If you are expecting to run new and exciting software that requires SSE4/SSE4.1/SSE4.2 and the infamous POPCNT and LZCNT instructions you will be disappointed. Sorry Apex Legends fans. This also means that VMware Player is capped to version 12. Also, while there is a POPCNT Emulator, it will trigger anti-cheat software, and you will get perma banned. Pitty. Another thing worth noting is that it’s worth looking at the TDP of the various sSPEC of Xeons. I was lucky and I was able to source the SLAED variation which has half the idle TDP of the SLAC3 variant. So yeah, this is basically as far as this thing can go CPU wise. Although I have 16GB of RAM, apparently it can go to 32GB, which means buying all new memory modules. I guess I can do a better video card. I’m hoping that I can run more stuff at once, I was hitting a point with all 4 cores were maxed to 100% way too much. I was going to show off the new CPU’s but apparently the pictures didn’t come out and I wanted to get this upgrade over with, as I had mentioned it did take 2 hours. The plastic retainer in the memory cage, and that stupid cover for the processors was the hardest PITA to remove. I probably spent at least 30 minutes pulling that damned thing off. I never removed the CPU shield before and 13 years, 3 nations, 2 continents worth of dust was unreal. Maybe it’s just as well the pictures didn’t come out, as it was pretty disgusting in there. 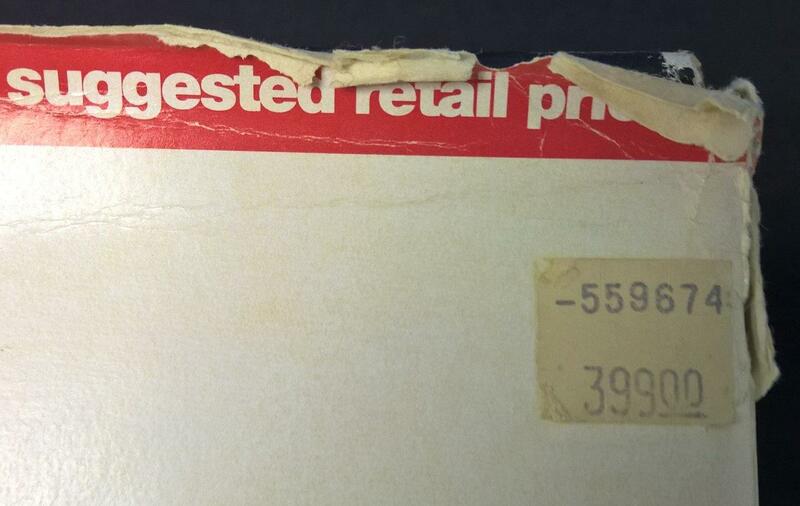 It’s also no wonder the old CPU’s were running hot. I wonder if this machine counts as being vintage now? Apple’s sliding scale of support is a weird thing. 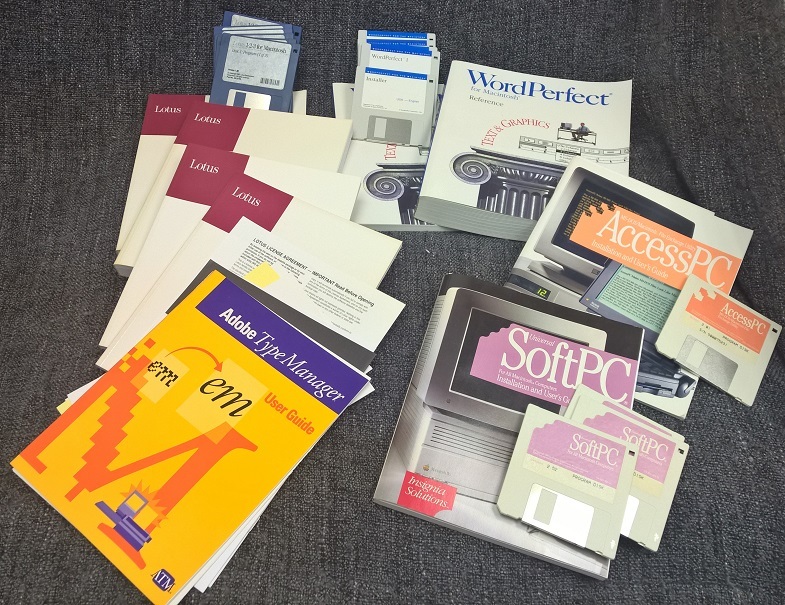 Author neozeedPosted on April 15, 2019 April 16, 2019 Categories Apple, Macintosh, x86_64Leave a comment on T’is the season for upgrades! 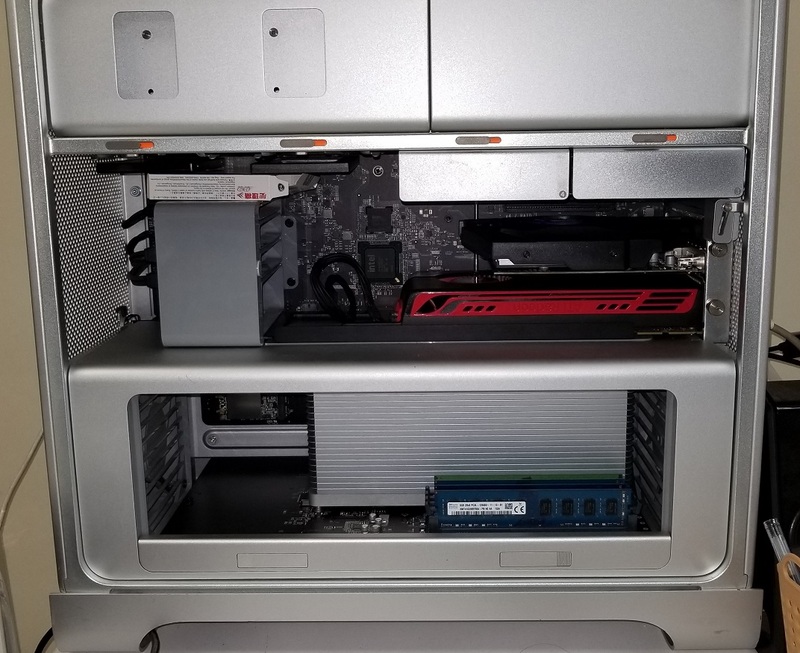 So I have this 2006 Mac Pro 1,1 that I’ve had laying around and I wanted to put my old Nvidia 1030 into it, along with Windows 10 for a newer (stronger?) home machine. I got stuck at this “Select CD-ROM Boot Type : ” prompt, which you can’t type anything into. Apparently it’s a common and known issue with 64bit boot code, as the older Intel Apple Mac’s are of course 32bit only. So there is a fix, you have to use something called “oscdimg” to rebuild the ISO with a 32bit friendly loader. Now what about those special ‘bootcamp’ drivers? Obviously under Windows 10 there is no nice way to get the ones you want. And what about which model/download package to get? It’ll probe your hardware type and grab the drivers for you! Wow the time sure flies! I know it's terrible quality but finding video from these old Apple events seems to have been recorded on VHS, and then re-recorded using the 'best' video capture technology for under $100 of the era leading to some really poor quality. Such is the internet I guess. I didn't buy a first generation but I did have a 2nd generation 333Mhz green iMac to run OS X Server 1.0 ... Who wasn't excited for the prospects of the next millenium? And like a sucker I saw this 2010 MacPro for sale, $300. It was running OS X 10.13 aka High Sierra, and I though oh cool it’s obviously able to run the latest OS, and even better with 32GB of RAM, and apparently the single processor model can go up to 48 or 64GB of ram giving me that breathing space I need. So I happily get the machine, put in some new SSDs, and spinning disks, and decide that I’m going to split it up half for OS X, and half for Windows 10. Sounds easy right? 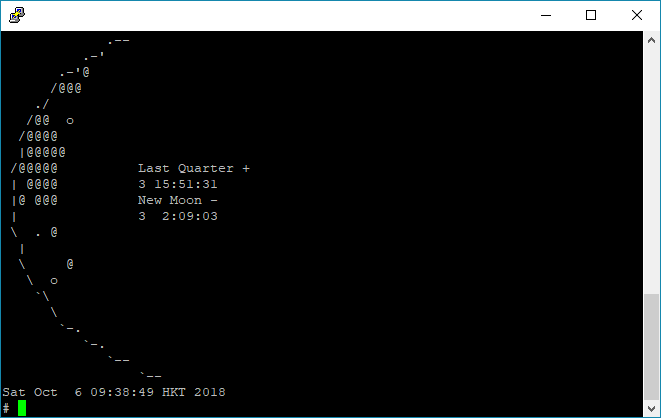 And for the hell of it, I wanted to install a copy of 10.6.8 (Snow Leopard), since it’s the last version with Rosetta, and I’d love to compare GrandPa’s G5 to this 2010 space Odyssey. Snow Leopard installs just fine, but the real fun comes from High Sierra and it’s APFS. I installed & licensed a copy of Windows 10 Pro onto the Mac without issue, installed the bootcamp drivers, and.. well it installs Okay but drivers are a whole different story. Apparently there is an ongoing war between Apple and ATI regarding bootcamp drivers, so the Apple UEFI cards won’t work with the stock drivers under Windows. You can go and look for patched ATI drivers over at bootcampdrivers.com, although I had no luck with the Radeon HD 5700 that was in this machine, as it’s GPU never showed up in the Windows 10 device manager. I still wanted to get accelerated graphics, and I decided to keep the old ATI card in the machine so I wouldn’t’ lose boot graphics from the UEFI ROM, but a card that needs additional drivers is fine, which opens the door to Nvidia. 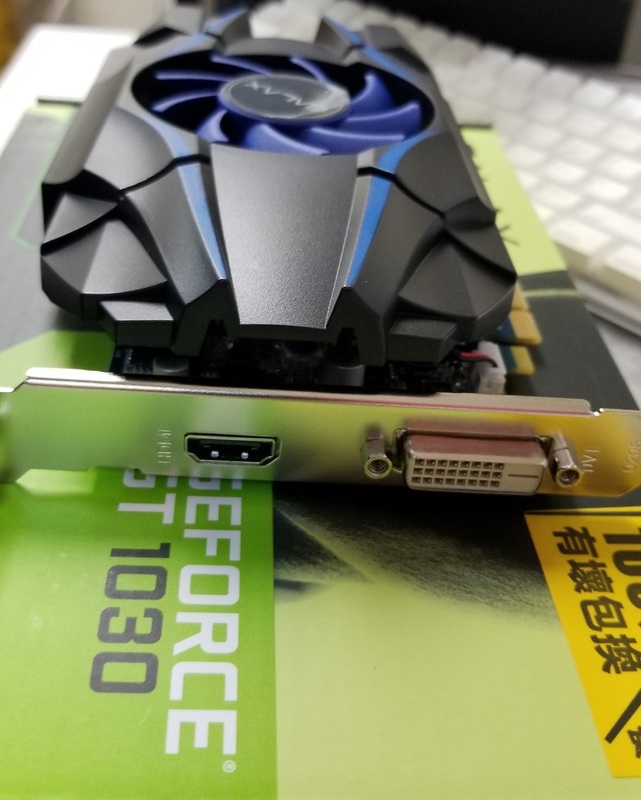 I wasn’t ready to spend a fortune on a card, and I wanted one that didn’t draw that much power, so the 1030 was a perfect fit being cheap and not requiring additional power hookups. I just went with the cheapest one I could find retail. Naturally the NVidia cards work fine in Windows, but of course Apple won’t use any stock plain PC cards. But thankfully NVidia has ‘internet’ drivers that cover quite a few of their cards, including the 1030-1080’s. I had further issues with the built in audio drivers, which Windows always prefers to load some generic “High Definition Audio Device” driver, but it never makes any noise. So I bought a cheap external USB Sound Blaster Play! 3 dongal, which works fine. And then there is the fun with VMWare, I upgraded both VMWare Player to version 14, and Fusion to version 10. 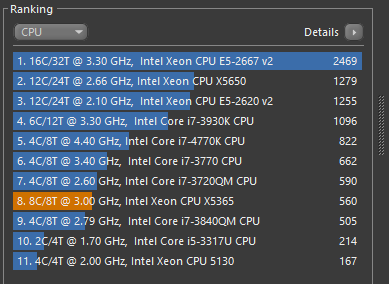 And yeah, the Xeon W3565 is far too old. 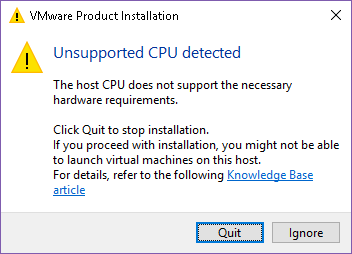 No new VMWare for you! Although my version 10 key of Fusion works on version 8, just as VMWare Player 12 works fine on Windows 10. And if that wasn’t crazy enough, in the bootcamp boot driver selection, the High Sierra volume cannot be selected. Even if you install onto a HFS+ volume, upgrade a 10.6.3 volume or whatever you do, High Sierra converts the filesystem into something that bootcamp doesn’t understand, so the only way to boot between the OS’s is to hold down the option key, and select the OS from the ROM, which thankfully after an update understands and boots APFS. 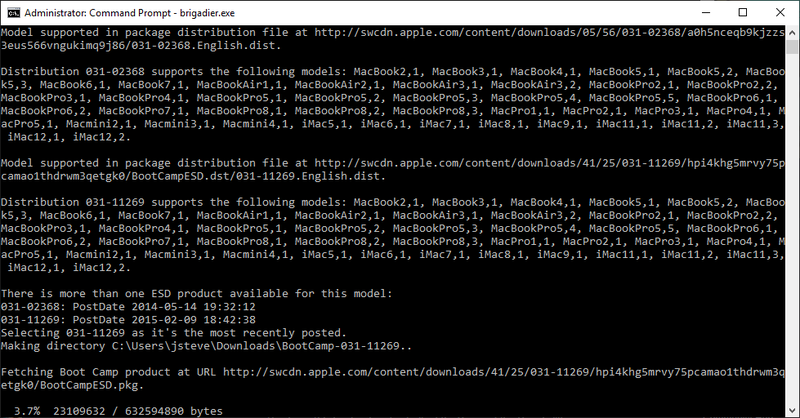 You think it’d be easy to just push an update to the bootcamp boot tool, but apparently it isn’t. I don’t know why, but for all the money Apple is sitting on, they really don’t feel that together or with it. I know in the whole ’99-05 time period they were not only fighting for their lives, but the whole OS 9 to OS X transition phase, just felt so much better done. Ever since 10.4 it feels like things are just subtracted, nothing really useful added. 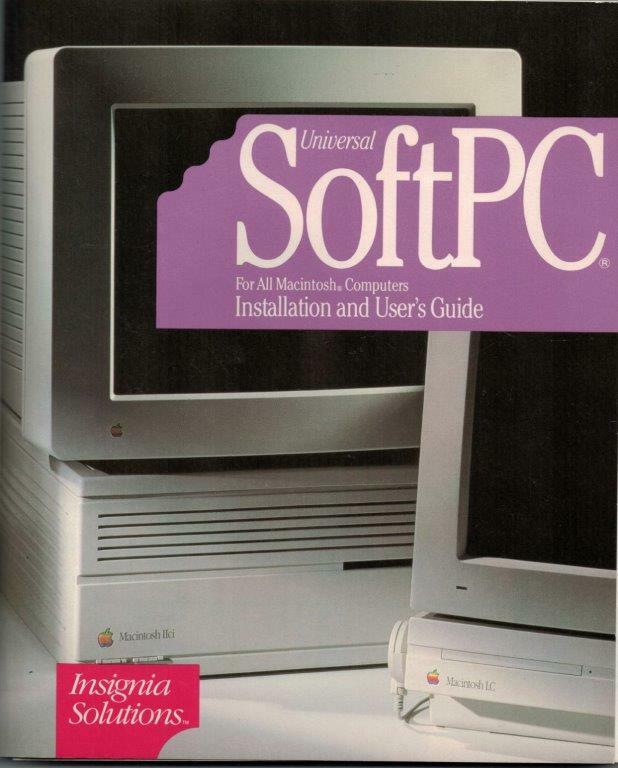 First Classic support, then PowerPC, then Rosetta. Going from 10.7 to 10.13 really hasn’t been all that exciting. 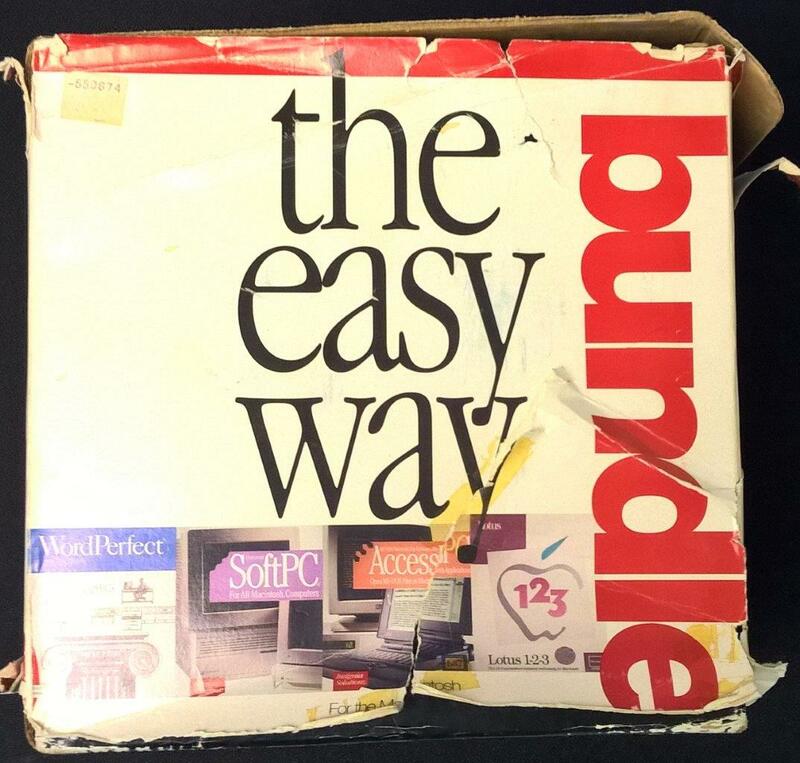 Which has been the general state of things, with everyone for the most part just running VMS or Unix. 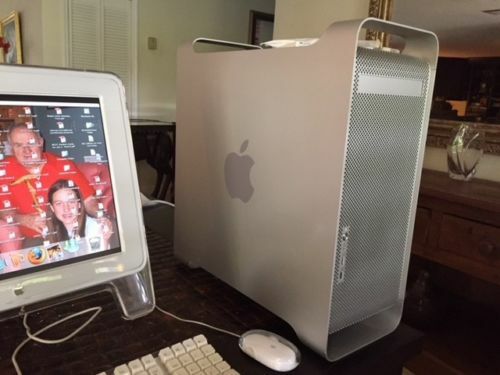 In my last trip to the United States, I scored yet another PowerMac G5, a model 7,2 which is one that is capable of running OS X 10.2.7 for the G5. It was the proverbial dream come true, used by an elderly man to keep track of photos in iPhoto, which he used maybe a handful of times a year. Needless to say, he wasn’t too pleased that his copy of Snow Leopard didn’t work on the machine, and he dumped the G5 for a much quieter MacBook. 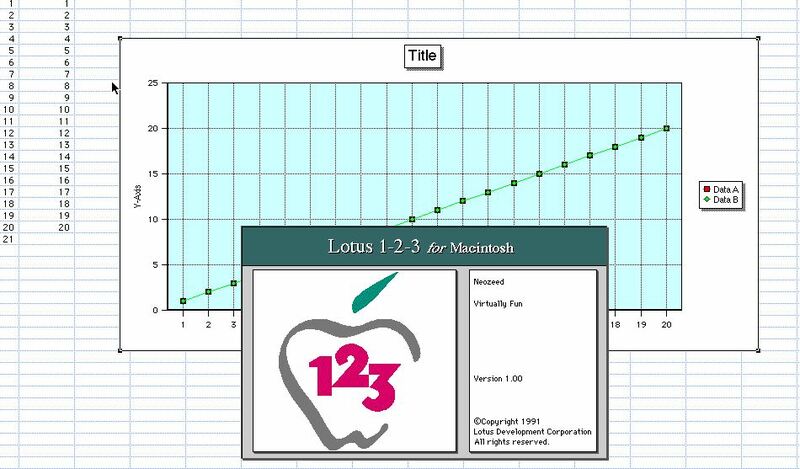 At any rate, it also included an Apple Studio Display. I found another Cinema Display in the used hardware market for $25, which even though the display works the screen was damaged at some point and shows scratches on the surface when the display is a solid colour. At any rate, the machine was deadly slow to boot, I upgraded the RAM from 256MB to 1.2GB, and replaced the ancient disk for a SAMSUNG SSD PM830 2.5 256GB flash drive. 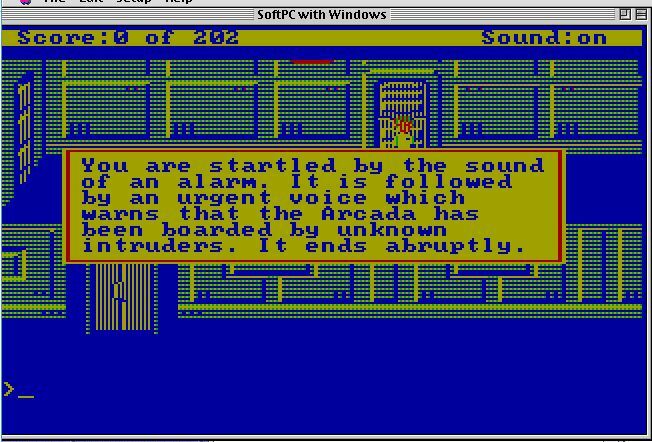 Now it’ll boot up in under 30 seconds from the graphics initialization. 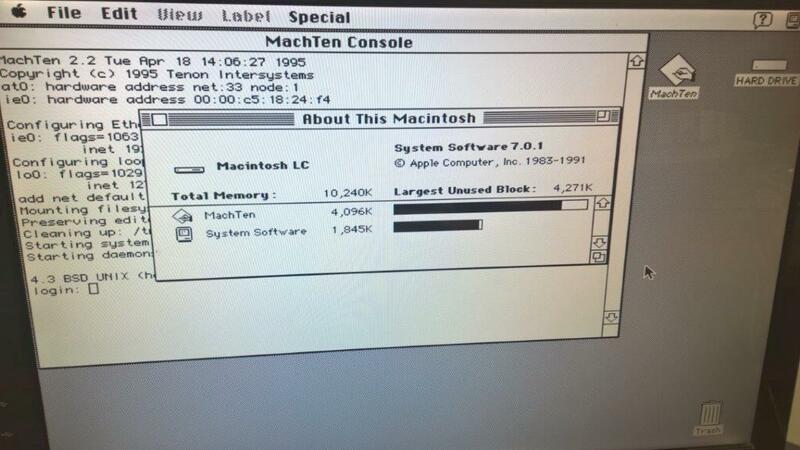 That makes this the only machine I have capable of running MacOS 9, although in emulation under OS X 10.2. I have the Jaguar DVD set, but Classic mode was removed in 10.5. 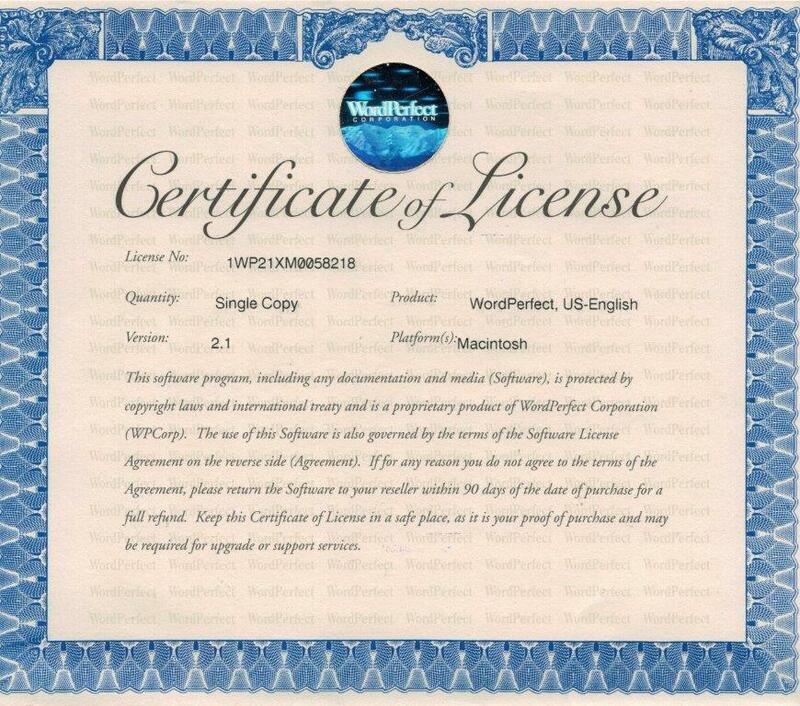 It was the ending of the PowerPC era, just as 10.6 was the last version to ship with Rosetta. Its a fun machine from the era of the introduction of personal 64bit RISC computing to the home user, although too bad the full industry didn’t catch up until later, just as 32bit desktop computing had a few stumbles out of the gates. 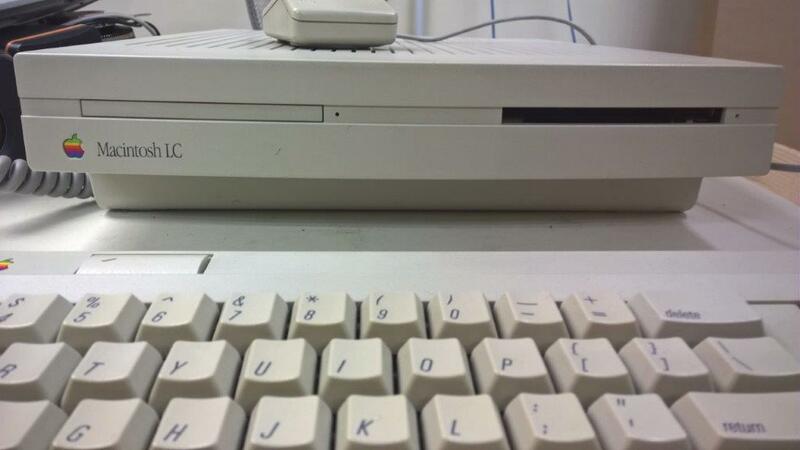 Interestingly enough a lot of the same weirdness of missing bits I saw on the x86, is also on the PowerPC. There is no nice installer, the CD image actually boots MacOS 8.6 which currently won’t run on Qemu. 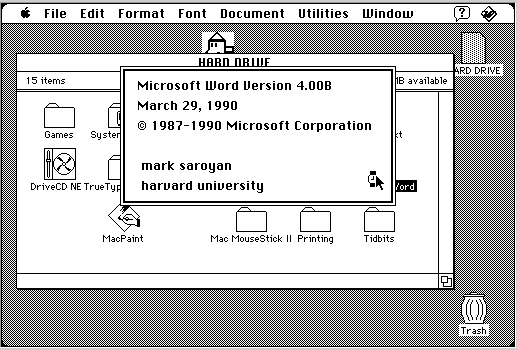 However Darwin 1.0 uses MacOS 9, which will. There is not install program for Darwin, rather you need a secondary disk, that is partitioned so the volume manager will pick it up, and then you restore a backup onto the target disk. Naturally the restore program from 0.3 won’t work, but the 1.0 will under the G4 Cube MacOS 9 CD-ROM install. 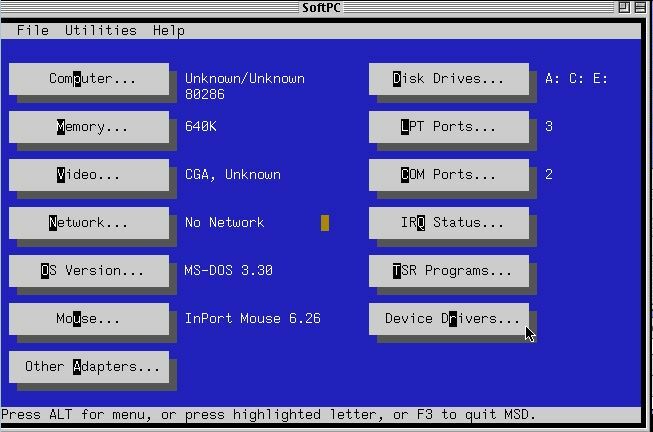 Also I couldn’t figure out the boot parameters so I used Steve Troughton Smith’s BootX loader https://github.com/steventroughtonsmith/BootX to get the OS booted. It’s a little convoluted but it does work. Currently there is no networking, I’m guessing I need drivers from OS X 1.x but Ive had really bad luck with the mouse to try to open a terminal window to see if the new sungem NIC is functional at all. 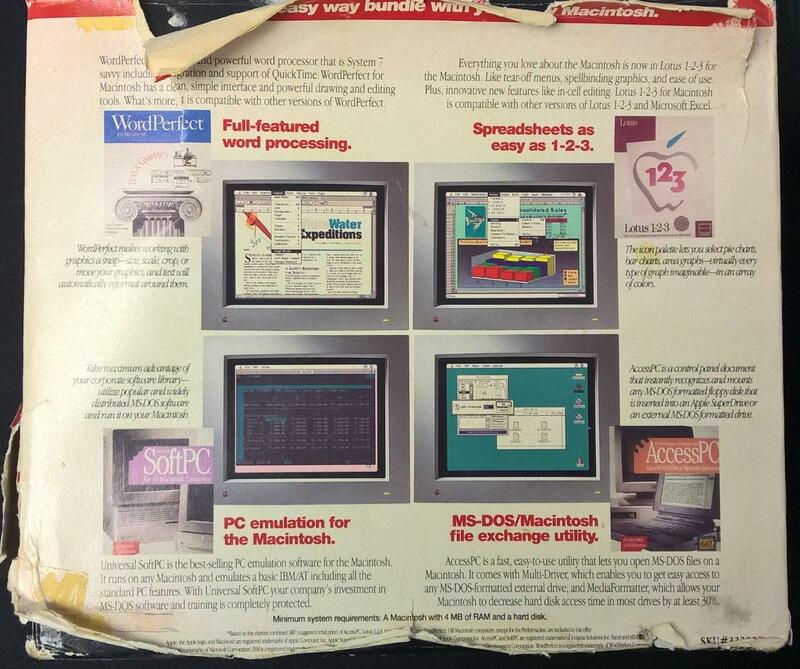 It’s the ‘classic’ MacOS. And it requires Code Warrior 10 to build. Apparently its for the PowerPC only, although I haven’t tried to compile it yet, as I foolishly just upgraded to 10.5 on my PowerPC, which of course has no classic support. Source code is on github, here. It’s a nice present from Night Dive studios. I know that many people are mad at their reboot being consumed by feature bloat, but at least they aren’t going down into obscurity. 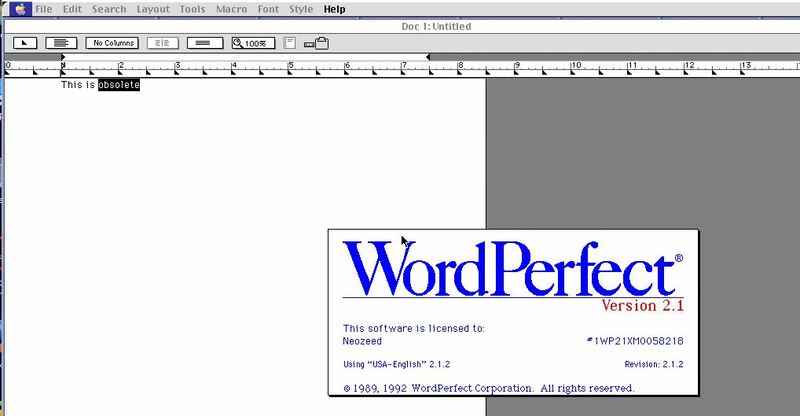 I found this fun page over on retroweb.maclab.org What is interesting is that it encorporates PeerJS and WebRTC to allow for a virtual network, letting you play multiplayer AppleTalk. 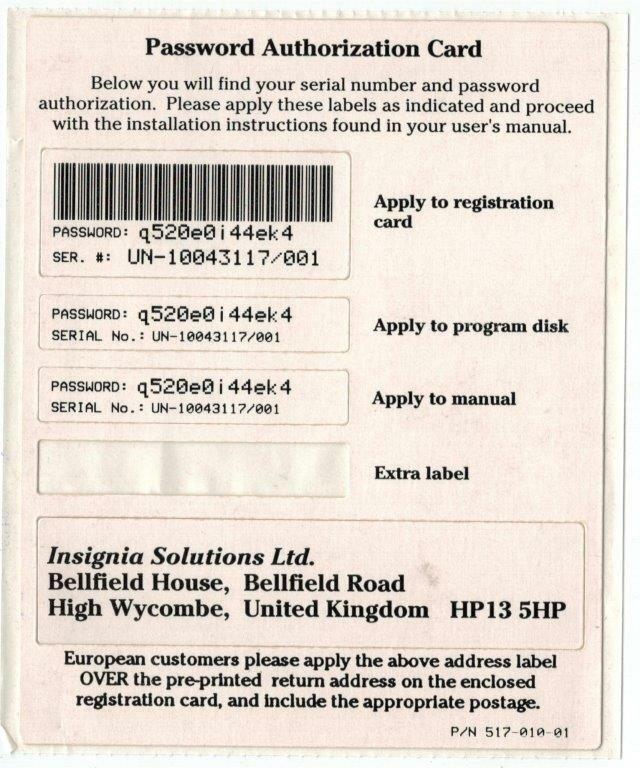 Just enable the network, and scan for other users. It’s pretty cool, in a zero config kind of way! And for coolness it’ll embed in a snazzy picture of a Mac Plus. Although you can magnify the screen, so you don’t have to squint so much.